- the mystic land of thousands lakes, forests and nature reserves offers the tranquil beauty and abundance of rare species of flora and fauna. There are magnificient examples of Polish history for example Hilter’s Headquarters, XVIII century military fortifications as well as ancient early human settlements. 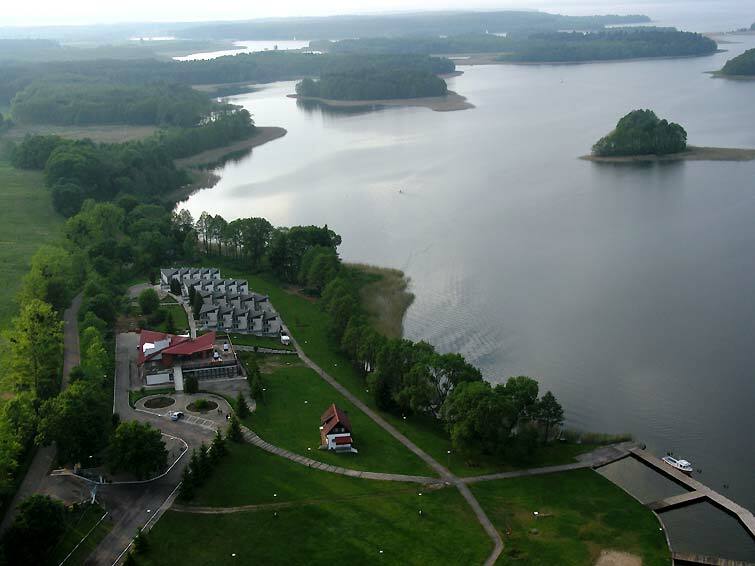 - Elixir Hotelik Caravan Camping offers an unique location on the Kisajno Lake so one can safely relax and rejuvenate here. Pets welcome. The whole grounds of 3,5 ha are surrounded by a perimeter fence and 24 hrs watched. It has a 1 km of its own shoreline on a picturesque remote bay in vicinity of woodlands and the Town Giżycko, which is only 5km away, 5 mins by car. There is a connection by bus or taxi. Giżycko has a good train and coach connection with other major cities in Poland and recently open light aircraft landing. Style complex of 40 rooms (B+B), 2 or 3 beds can accommodate 100 guests. Each room has got an independent entrance, private bathroom with a shower, hairdryer and balcony with the lake view. 1 family room for 5-6 persons. 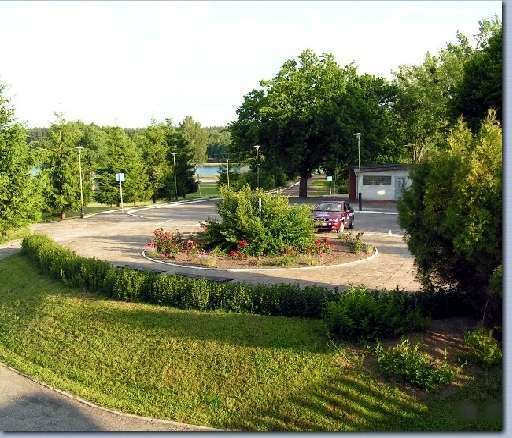 Room has got an independent entrance, private bathroom with a shower, hairdryer and balcony with the lake view. 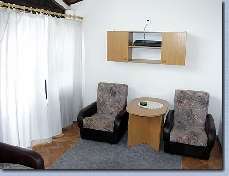 To add to your comfort there is a TV, radio, fridge, kettle and tea making facilities, deck chairs in the room. The Reception Building has FREE Internet point for our Guests convenience. 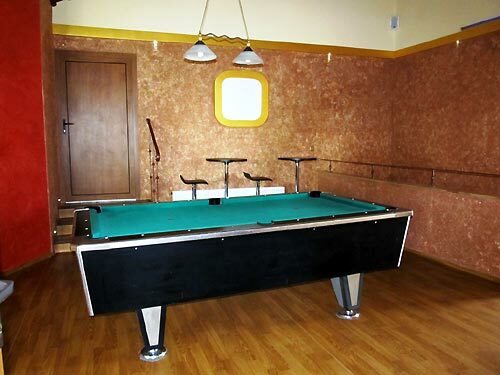 Houses an airconditioned Pub with a 100 m2 lake view terrace, (satellite TV, pool table, games, table tennis and disco/karaoke) and the Conference Room for 80 guests. The airconditioned Restaurant - with lake views and terraces - can accommodate 150 guests. Our guests will enjoy the traditional Polish home cooking. 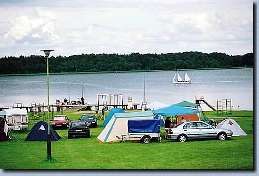 ( awarded by PFCC, ACSI, ANWB, PLANET, ADAC), recognised by The Mister Camping Awards in years 2006 - 2015 site has: shower/toilet block with hot water 24h, hand and hairdryers and a token operated washing machine, microvawe, kettle, fridge, cooking facilities, 70 new electric points (16amp), water standpipes, chemical waste disposal unit, grill and bon fire place. 2 static caravans fully equipped with own grill and garden furniture: one 3 bedrooms and 2nd with 2 bedrooms (especially designed for disabled, too). 4 rooms with lake view and common bathroom.